A sparse parade of weekday hikers, strollers, and flanuers happened by. 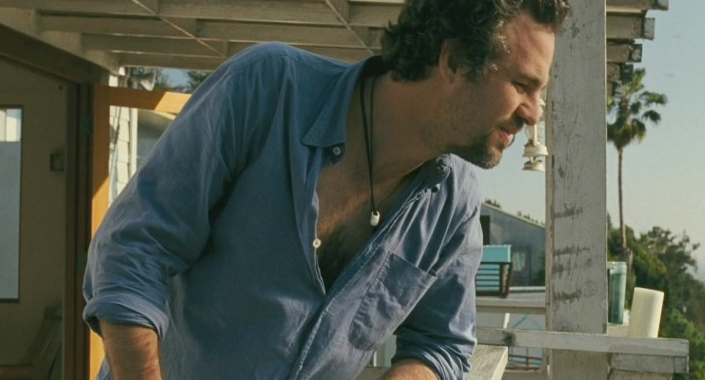 And then there went Mark Ruffalo, in jeans and a t-shirt. That’s Mark Ruffalo, she said under her breath at me. Yeah, he was in Eternal Sunshine of the Spotless Mind, Thirteen Going on Thirty… but I still didn’t know who, exactly, he was. I’m the person who has never watched an episode of Friends and never an entire episode of Seinfeld and missed a bunch of popular films released between 1993-2001 because my local movie theater was an art house theater serving a population of 30,000. I’m the person who gets invested in a TV show or a movie here and there, may remember the actors’ names, but will always remember scenes, stories. Then I’ll watch them over and over again until they’re installed in my psyche. My daycamping-partner-in-crime was very excited about seeing Mark Ruffalo, and she really wanted to tell someone…but who is there to tell these things to when you’re conducting an illicit affair? Even if I had reshaped my alibi into, “I went to the library to work, and then felt like stopping by Griffith Park..for a walk…” on a sweltering summer afternoon…it sounded hokey. My husband might have cocked his head and said, “Whaaat?” Maybe he would have been amused or pleasantly surprised I’d decided to take a hike. In my regular everyday clothes. On a hot afternoon that reminded us we lived in a modified desert. The fabric of integrity I’d stitched and sown and restitched and resown got torn to shreds. My heart of hearts was acquiring new layers to keep in what was rushing out of me—this urgent need to be with a woman who was not my husband. Phone calls. Emails. Secret meetings we didn’t dare call dates. When we’d begun this affair, I had said, “I give this two weeks.” It was one of the many things I said, because I first wanted to talk all around the attraction that each of us copped to after having been friends with a glimmer of something more for the last several years. Why we had to suddenly come out about this mutual attraction in a big way just months after I’d married is another story. But there we were, many weeks into a clandestine relationship, watching Mark Ruffalo from our blanket in the dirt. And there was no one we could tell. If you see Mark Ruffalo in Griffith Park while having an adulterous affair, was he really there? Three summers later, I sat with this woman in a movie theater in West Los Angeles. I was pregnant. We were pregnant. Our sperm donor friend was probably at his house or at a spin class or playing basketball somewhere. We were maybe supposed to like The Kids Are Alright but we found it problematic. Earlier, when we’d arrived at the theater, we had run into a writer friend and her husband. I was conscious of the fact that my pregnancy was newly showing; there was no hiding what was growing inside of me. We were on our way to see a movie featuring Mark Ruffalo. There was no intrigue, no reason to duck out of sight. We exchanged hellos and movie tips with her and her husband as they were on their way out. We were on our way to see Mark Ruffalo play a sperm donor. And that would be the time when I could say, openly and unabashedly, that we’d seen Mark Ruffalo (albeit on a movie screen), together, and it was okay, we could tell people. Kind of like I can tell you now that once, we saw Mark Ruffalo, walking around, minding his own business, while we watched from the shadows of a furtive campout in Griffith Park, our crush quickly adding up to love on the surface of that patch of earth. Great opener. Great unfolding. I’m so glad I stumbled onto this bit of writing. If you don’t mind, I’ll be using it in my writing courses. Thanks, E.J. It would make me happy for you to use it in your class. My website is http://www.wendyortiz.com (and my tumblr: wendycortiz.tumblr.com). If you would share that, too, I’d be very glad. Thanks for reading & sharing! Fabulous, Wendy. Very honest writing. Loved it. Wendy your writing is in a class of its own, you are a phenonimal writer.